This entry was posted in Industry News and tagged drug rehab medicaid, drug rehab medicare, in-network alcohol rehab, in-network drug rehab, telemedicine for addiction, telemedicine for opioid treatment, telemedicine for suboxone on October 24, 2018 by Scott McKinney. The opioid epidemic is discussed in just about every media outlet today. The President tweets about policy and reform, parents use their own suffering to educate others, and the debate continues regarding the best steps moving forward to pull our communities from the grasps of a powerful and elusive substance. Recently, strides were made in addressing the opioid epidemic with components that have the potential to significantly improve the addiction treatment space. Just days after Awareness Week–a period between September 16th and 24th, 2018 which has been called Prescription Opioid and Heroin Epidemic Awareness Week by President Donald Trump–the House of Representatives passed the Support for Patients and Communities Act with a vote of 393-8, followed by the Senate’s 98-1 vote which sent the Act to the desk of the President to be signed into effect. The President has publicly announced his intention to execute the Support act. What is in the Support Act? The four main pillars of the act are the initiatives to reduce the use of opioids in practices, advocate for the recovery of those dependent on opioids and other substances, support the support-systems of those struggling with substance use disorder, and act as a catalyst for long-term solutions to follow the Act. The Support Act., along with drug enforcement and abuse diversion efforts, aims to increase access to opioid recovery centers, medication-assisted treatment, and improve prevention efforts in schools and possibly other institutions. The Act also aims to increase the use of telemedicine for opioid and substance use disorders and provide guidance to providers on the use of telemedicine in the treatment of alcohol and drug abuse. An undertaking already at the forefront of Midwest Institute for Addiction alcohol and drug rehab programs in Kansas City and St. Louis; which provide telemedicine services in Missouri, Illinois, and Kansas. The other major part of the Support Act. is the potential effects it will have on access to alcohol and drug rehab program in Missouri. The Act. calls for substantive changes to the Medicare and Medicaid programs’ policies on substance abuse and addiction treatment providers. Funds for alcohol and drug rehab programs are diverted to CSTAR (Comprehensive Substance Abuse Treatment and Rehabilitation) programs. The problem is that Missouri limits the number of CSTAR programs and therefore eliminates the ability for new programs to access Medicaid and Medicare funds for substance abuse treatment. This is not a common limitation across healthcare specialties. Substantive changes to the Medicare and Medicaid programs, aimed at expanding services and treatment for substance use disorder, could rectify the constriction to access caused by the limitations to providers not credentialed as a CSTAR. The change could result in more options for individuals and families looking for addiction treatment options and increases in the quality of services offered to those individuals and families likely resulting from an increase in the competitive landscape among recipients of Medicare and Medicaid funds for alcohol and drug addiction treatment. Potential Benefits for Alcohol and Drug Treatment. The biggest potential of the Act. is that it has the ability to address two major issues in the addiction treatment industry. First, adjustments to Medicare and Medicaid funding policies for substance abuse treatment would increase access to better care for more individuals. Midwest Institute for Addiction reports that most individuals coming in who had called a CSTAR program were told that a significant wait period existed before they would be admitted. The second, the increase in telemedicine utilization would begin to solve the discrepancy in resource access among individuals and families living in more rural areas with limited access to substance abuse treatment. At this point, you are probably curious as to how this will affect you, those around you, and the care available in your community. Let us not be too hasty, these things tend to take time. When the Affordable Care Act went into effect, the changes expected to impact the addiction treatment community (the Parody Law, Pre-existing conditions, extending coverage of children to 26 years of age, and penalties for not having insurance coverage), took almost a year to have any noticeable impact. It probably will take time for noticeable changes to form after this Act. is signed as well. However, what you are likely to see following the act is outlined here. There are no definitive answers in regards to the resources and funding necessary to make the Support Act. an effective strategy in each community but, in parts, this Act. begins to head in the right direction. We may continue to see news and information pertaining to this bill but if the main-idea in increasing access to addiction treatment, through technology and access to funding, continues to be at its core, we may just see some significant victories in the battle of the opioid crisis. Midwest Institute for Addiction is a provider of outpatient addiction treatment with alcohol and drug rehab programs in St. Louis and Kansas City, Missouri. 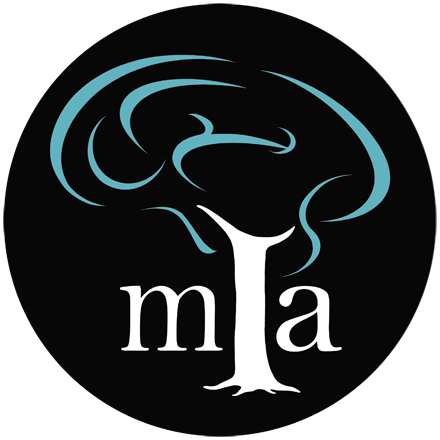 MIA has consistently been at the forefront of adapting addiction treatment to meet the needs of its communities and increase access to care. 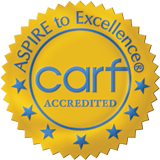 Both St. Louis and Kansas City locations provide medical detox, behavioral health care, and mental health care. MIA continues to increase access to quality programs and services as one of the first telemedicine providers in the U.S. specific to substance use disorder, as a unique private model program that is in-network with insurance, as a contracted provider with the Missouri Office of State Courts, and as it navigates the Medicare and Medicaid systems to continue to increase access to its services.